When in doubt, look to campuses. No seriously. When you lose a bit of faith in your world, in the echo chamber of your social media feed, in the articles discussing your echo-chamber social media, the sorry state of politics and protests, and the cynicism and fatality of the people around you, just look to campuses for a lesson in the kind of activism that satisfies your soul. That’s what Radio in a Purse, a student-led project hosted by Maraa, a Bangalore-based media and arts collective, feels like—delicious activism to soothe the feminist soul. 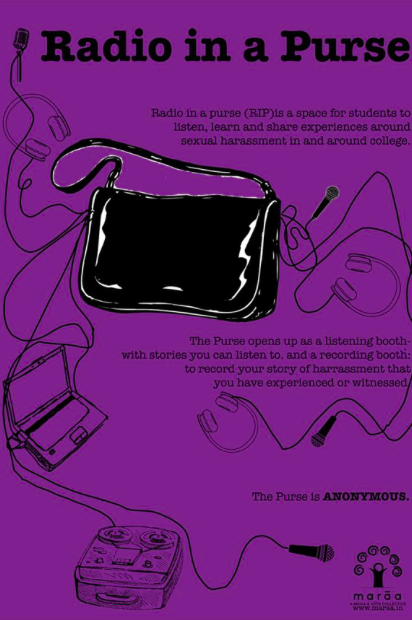 Radio in a Purse is a project (no I mean a space) for collecting stories and experiences about sexual harassment and sexism on campuses. 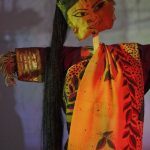 It aims to “capture the topography of sexual violence in the city [of Bangalore], through the experience of its students”. The project has its roots in student dissatisfaction, and a lack of faith in institutional mechanisms. Bangalore students Shalom Gauri and Varkey Parakkil decided to come together to form Student Outpost in June 2017, long before #MeToo and Raya Sarkar’s infamous LoSHA made its appearance in India. Student Outpost was meant to be a forum for students to discuss their issues in the absence of meaningful student unions in the city (or as Gauri says, because “our unions simply organise fests”). Members of Student Outpost decided take action around sexual harassment after an eye-opening session at the Alternative Law Forum in August 2017, where they first learnt that Internal Complaints Committees are mandatory by UGC guidelines. This revelation prompted them to create a questionnaire in November, with some inputs from Maraa (which works closely with many student bodies) asking college students about what they would do if they were sexually harassed on campus, including whether their colleges have internal complaints committees and if students know how to access them. In December, Maraa tapped into Student Outpost’s network for this new collaboration to address sexual harassment on campus, Radio in a Purse. The Purse is a handbag of objects, like audio recorders, laptop and headphones, that encourage the listening and sharing of stories around sexual harassment, and its already begun its travels across campuses in Bangalore. 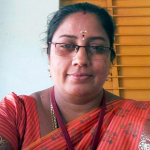 Angarika Guha from Maraa, who coordinates the project, says that its influenced by the older concept of “radio in a backpack”, or portable and convenient radio that could be set up with ease in disaster situations and natural calamities. It’s kind of ironic how much use a communication form meant for disaster situations has for feminist practice. The Purse is both the physical object, of a toolkit of items aimed at facilitating conversation and recording, and also a metaphorical one, through which you can listen to the accounts already in the Purse, or add your own through their (very aesthetically pleasing) website, or by sending recorded accounts in through WhatsApp. The result of these collated recordings is an endlessly enjoyable and satisfying work-in-progress. The conversations, currently uploaded online as SoundCloud clips all under 6 minutes long, feature students discussing not just their own instances of harassment, but all the different cultures and structures that allow for harassment and sexism to exist on campus. They talk about an HOD who told them they couldn’t display an image of a sanitary pad in public, mysterious Internal Complaints Committees populated by students who had long since graduated, the importance of student collectives on campuses (“because the systems may be in place, but they’re not doing their work”), an administration that sends victims of harassment to counsellors who throw religion at them, the frustration of having to negotiate their college’s ideas of “prestige” when dealing with sexual harassment complaints, and how the global wave of political “regression” is seeping into their experiences of being in university. The accounts are deeply introspective and also full of intriguing insights into the ways young people are deciding to stand up to harassment today. One account discusses how after a student was discovered having groped a classmate off campus, the rest of the class, including those who weren’t present to witness it and his own friends, decided to unite in their social boycott of him. But it isn’t just the content of the recordings that makes it feel really very feminist. Everything about the way Radio in a Purse is designed feels like a perfect feminist response to the global moment of reckoning around sexual harassment that we’re trapped in now, and it embodies many accepted feminist theories and methodologies. 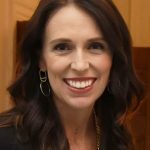 Feminist historians have already laid out how important recording conversation (or oral history) can be for feminists, given that much of women’s learning and experience gets passed down through oral accounts, and is often ignored or distorted by traditional methods of recording culture and history. 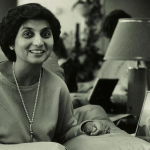 Creating ways in which women can tell and record their own stories and experiences for posterity is an integral part of the feminist project, and is exactly what the Purse does so effortlessly. As their website says, they also plan to share these audio clips through listening rooms and parties, social media (including WhatsApp) and as audio installations in public places. Which means that by recording these conversations, the Purse allows for these stories to be heard in places that never would have heard them, and for generations of women with Internet access in the future. The accounts thus far, many of which call out their “unsupportive” institutions’ natural tendency to “push things under the carpet and act like nothing happens here” also seem to be anonymous. This is a really interesting feature that this project makes the most of. Some of the initial furore around Raya Sarkar’s LoSHA was around the lack of details about the survivor’s accounts, which many correctly defended as necessary in order to protect the victims, and also because victims shouldn’t be outed unless they want to be. Radio in a Purse strikes an intriguing balance— it provides accounts full of rich, personal detail and introspection that lend colour, emotion and credibility, but with none of the accompanying fear of institutional retribution or the inclination towards self-censorship that publicly calling out your college’s sexism can inspire in young students. As Gauri points out, many of the women also didn’t want to lodge official sexual harassment complaints, but still want to speak about it, just on their own terms. The Purse, like feminism itself, also exists and grows in both practice and praxis, meaning that the exercise of using this feminist tool itself automatically feeds into the creation of feminist theory and history. 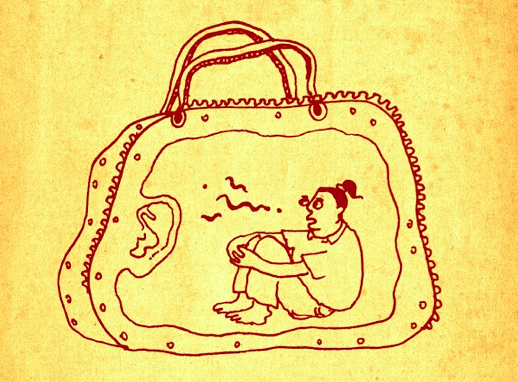 Using the Purse can be a feminist act in itself, in addition to the feminist material it creates, and when the physical Purse is used, moved or added to, its theoretical self grows too. And of course, the project isn’t controlled by a single university. Maraa tapped into the student-led network Student Outpost to work with students from colleges all over Bangalore, and the project grew through word of mouth and the students’ social media activity. This automatically ensures that this very important narrative isn’t controlled by or restricted to a single college, or to the demographic that that college caters to, and is instead spread out across a variety of campuses, with a variety of experiences to contribute. The dissolution of power structures and the sharing of power is another idea that’s integral to feminism, and one that this project embodies too. The result, like the best feminist tools, requires little initial investment, can be used and accessed by a huge variety of people, and is easily replicable by anyone else who wants to try. The accounts, earnest and emotive deep dives into the minds of young people who have thought seriously and purposefully about how these matters affect them, are also punctuated by laughter, friendly interruptions (“wait let HER tell you this story”) and birdsong. What more could you ask for?